LineageOS 15.1 OFFICIAL and UNOFFICIAL builds are coming out after almost couple of quarters of Android Oreo made it’s way to public and here is a list of supported LineageOS 15.1 Android devices based on Android Oreo 8.1. Since day 1, we already have the UNOFFICIAL LineageOS 15 downloads and devices list, which clearly shows that a huge number of devices have already got the LineageOS 15 update UNOFFICIALLY. So, if you want to know when is you device going to get the LineageOS 15.1 support, then just stay subscribed to this post. That’s all you have to do. 1 What is the difference between an UNOFFICIAL and an OFFICIAL LineageOS ? What is the difference between an UNOFFICIAL and an OFFICIAL LineageOS ? Well, this is an important part to understand if you are installing a LineageOS 15.1 ROM build of any LineageOS to your device for that matter; which I think many or most of the new users don’t understand it pretty well. There is a huge difference in an UNOFFICIAL and OFFICIAL LineageOS 15.1 update available for a device. The evidence will be more clear to you when you compare the UNOFFICIAL LineageOS 15.1 list and this list of OFFICIALLY supported LineageOS 15.1 Downloads. What you see is, the availability of UNOFFICIAL LineageOS 15.1 updates is more but the OFFICIAL LineageOS 15.1 list is much less in number. The reason being the restrictions that applies to certify a build for OFFICIAL LineageOS 15.1 update for a particular device. See the below table to understand things with more clarity. Built by a developer without validating the code changes of the ROM build. Built by a LineageOS maintainer (a developer, again) whose code changes go through a review process by other developers. There is no guarantee that an UNOFFICIAL LineageOS 15.1 Oreo build will have every hardware working. An OFFICIAL LineageOS 15.1 build has to follow the LineageOS Device Support Requirements. – Which obviously means you will have almost everything working fine on on OFFICIAL LineageOS 15.1 out-of-box. Nobody knows when the next release is going to be available. An official LineageOS 15.1 build will have weekly NIGHTLY available for all supported devices. There is no integrity over availability of LineageOS 15.1 for various devices. Unofficial LineageOS 15.1 are not certain to be found at one place. The only way to get it is to use Google or search on forums like ours (LineageOS ROMs) or xda-developers.- For example: I have a UNOFFICIAL LineageOS 15.1 Download list maintained over a period of time to make it easier for users to know about the availability of LineageOS 15.1 for the device they own. – Most of them are also found at XDA forums. – Some builds will be found in Android File host or Google Drive, Mega etc. All of the available OFFICIAL LineageOS 15.1 downloads will be available at LineageOS downloads link. Difficult to file a BUG for an unofficial LineageOS 15.1 build. – User have to find the developer of the ROM build and have to communicate personally or sometimes via a forum like this one or XDA forum. User can file a JIRA ticket to the LineageOS maintainer for a BUG found by filling required data. Of course there are many more differences but these are some of the major differences that a user must know before using an UNOFFICIAL LineageOS ROM over an OFFICIAL LineageOS build. As always the LineageOS 15.1 ROM does not come with pre-installed GApps (Google Applications) because of Copyright issues, so, you need an extra LineageOS 15.1 Oreo 8.1 GApps. Also, LineageOS 15.1 does not come with built-in supersu or su binary addon for ROOT, hence you need to install su addon on LineageOS 15.1 to enable ROOT access. The OFFICIAL LineageOS 15.1 has just come up and hence we have very fewer device update in the list as of now. The list will have all available OFFICIAL LineageOS 15.1 ROMs for various devices the moment they are built on the build roster. If you don’t find an official LineageOS 15.1 ROM for your device then just check out the below list which has an extensive collection of unofficially supported devices of LineageOS 15.1 Android 8.1. Official LineageOS 15.1 update is very slow to roll out for many Android devices as of now, where we already have Android P available for many devices. But fortunately here is a huge list of unofficially supported LineageOS 15.1 for many devices. not os 15 for galaxy e5????!!!!! Hello everyone, I am a new user and I have been presenting problems with my motorola g4 play harpia, for several months the camera started to fail giving the message of being busy with another application and since nothing could be done. 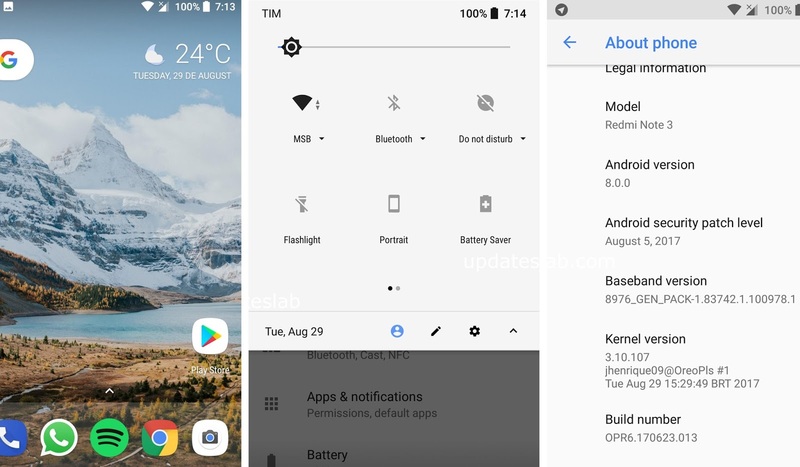 I immersed myself in the world of custom roms and install LineageOs 15.1 with android oreo, but the problem was worse the cure than the disease, now in the ROM I delete the Mac address of the computer and it does not turn on the WiFi, and for more that I have tried in different post I have not found the Solution, I do not find nvram or wlan.bin I tried to change the kernel and I had to reinstall everything because it generated an error and did not load oreo. Better said, I need help to fix the camera and WiFi Mac adress 02: 00: 00: 00. I have to explain that My Android Version is too old. And unfortunately, you have never had any LineageOS Version for my phone. Any chance of either an official or unofficial ROM for a Samsung Tab S 8.4 SM-T705 ? Think this may be a bit out date but no harm in asking I guess? Hallow. I want to ask. Does it possible to get roms for samsung galaxy gio and grand neo i9060 (not plus) anf lg l90 d405. Or just link. Thanks. This devices have a great hardware with a bad software. Help me please! Please add the Samsung Grand neu Plus Gti9060i .Thank you!! Hi, great job for 1+2 . Tnx for this great release. Just a question: is there a way to enable oneplus 2 to use a usb otg type C pendrive without any adapter? tnx a lot. Redmi Note 5 Pro Official LineageOS 15.1 is added in the Xiaomi Official LineageOS 15.1 list. Ante todo MUCHAS GRACIAS mi versión no es OREO y si no corresponde aquí este mensaje porfavor decicme donde enviarlo . samsung p600 please when time arrived ? When Lineage OS 15.1 will launched on Xperia Z3 Compact? Oi. You think you could replace the dead Samsung link with one that points here //www.cyanogenmods.org/download-lineageos-15-1-samsung-phones-supported-devices-list/ instead? The link you provided is for the UNOFFICIAL LineageOS 15.1 devices list. Official LineageOS 15.1 builds are very slow to come hence many other OEMs have dead links. Now some of the Samsung devices have been added to official LineageOS 15.1 supported list, hence it is not required to replace the link. Hi Mahedi Ali, here is the OFFICIAL Nexus 4 LineageOS 15.1 NIGHTLY build. nightly build will come from next Monday and every Monday of a week, subsequently.